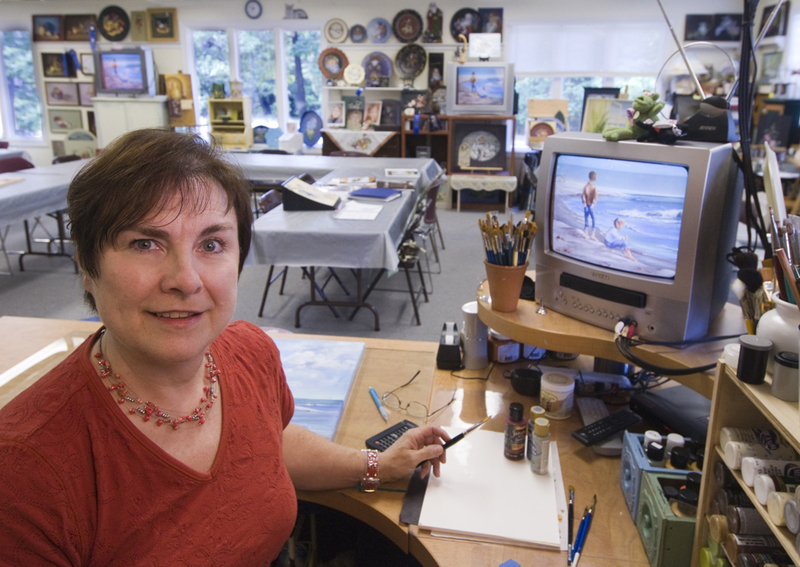 Join Liz Miller CDA for a journey in art education and painting . Our Sawmill studio, Artful Endeavors, is located in Raleigh NC in the heart of the Research Triangle. Liz teaches realistic style including art theory and acrylic painting techniques as well as some exploration in watercolors and mixed media. Explore Your Creativity! Join Liz Miller CDA for a creative journey. Learn theory and techniques as you paint along in a step by step manner during our weekly classes for all levels of experience. Our Sawmill studio, Artful Endeavors, is located in Raleigh NC in the heart of the Research Triangle. Liz teaches realistic style including art theory and acrylic painting techniques as well as some exploration in watercolors and mixed media. Enjoy the fellowship of our wonderful students while learning more with each class. Attend our studio workshops taught by Liz focusing on a technique or concept to further your art education. Or paint with a nationally known teacher in one of our seminars featuring their style and special abilities. 2015 Seminar Schedule features exciting seminars with Susan Crouch, Ros Stallcup, and Kathie George. What's Happening at Artful Endeavors! Keep up to date with Liz's latest artwork, studio happening, and class updates while following our blog. Watch for Liz's tips and latest art finds. No experience is needed to begin your artistic adventures at Artful Endeavors. Join us in exploring our creative spirits through our passion for art and painting.